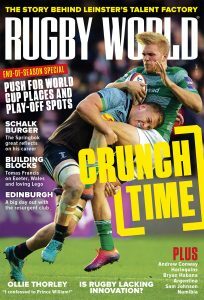 Rugby World: What’s Toby Flood like to live with? 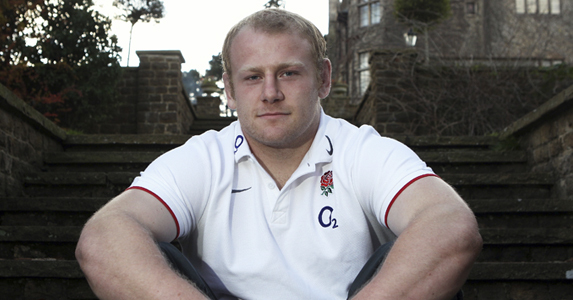 Dan Cole: I could tell you lots of things about him but he wouldn’t speak to me for a week! DC: Not his ears, they’re quite large. RW: He’s got big ears? RW: Who are the England jokers? DC: James Haskell’s loud, but whether or not he’s funny is debatable. RW: How was your England initiation? DC: It was fairly standard. I sang Stand By Me. I don’t like speaking in front of people and I’m not a good singer, so when you combine the two it’s not really a match made in heaven! RW: What’s the funniest thing you’ve seen on the pitch? DC: I don’t see a lot of games because I’m too busy pretending to scrummage, but the lines Boris Stankovich has come out with at times have been funny. RW: What three things would you take with you to a desert island? DC: Some form of water purification so I could drink, sun block and a machete to make a hut. RW: What’s your idea of a dream holiday? DC: I’d like a holiday on a beach with everything provided for you, away from most people. But I’m not good in the sun, so I’d like to go exploring in South America. DC: At the moment it’s Da Cole. Louis Deacon claims I was calling myself that on a night out in Italy. I wasn’t. RW: Do you have any bad habits? DC: No, I’m very clean and healthy. I don’t snore or do anything like that. Floody would totally agree with me! RW: Who’s your ideal woman? DC: Someone who’d cook, clean and generally look after me. And earn lots of money so I didn’t have to do anything. RW: How do you switch off from rugby? DC: I listen to music when I drive home. I like the blues. Or I have a good moan with Floody for five minutes, then move on and chill out. RW: Do you moan about Richard Cockerill? DC: Of course not! We only have praise for such a… the person who pays our wages! DC: Someone cool like Steve McQueen. DC: That I’m 23 years old despite my looks! I get a lot of stick for the way I look. RW: If you weren’t playing rugby what would you be doing? DC: I was going to go to university to study civil engineering, so that, or working in a forest. I’d also like to play American Football. I’m not good at hand-eye coordination but I like to smash people! RW: If you could have one superpower what would it be and why? DC: I’d be like Colossus in X-Men. He can turn himself into steel, and he’s athletic, strong and shiny, so win-win! DC: I’m a sensible man! I don’t buy stuff. But the most expensive is some jewellery I got for my mother after my first cap and a watch for my dad. RW: What are you most asked by the public? DC: Can you hold my bags while I ask for Toby Flood’s autograph? DC: Somewhere nice to live, not with Floody – I’ve had enough of him. And a normal life. RW: What’s the most important lesson you’ve learnt? DC: After you’ve made an error, as the cheesy saying goes, you’ve got to bounce back. RW: Any words of wisdom? DC: No. You’ve got to be wise for that! 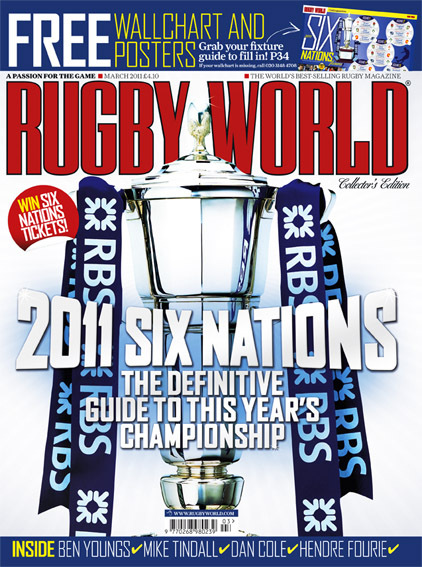 Or if you want to find out which newsagents Rugby World is sold in then click here.